“It’s a horrific situation,” says Dr. Stathis Poulakidas, the head of burn and wound care services at Cook County Health. Poulakidas works at John H. Stroger Jr. Hospital, a level 1 trauma center, that in a really bad year will see 150 cases of frostbite for the season. He said based on what he has seen thus far, this could be one of those years. Poulakidas said they’ve seen “horrific injuries to feet and hands,” some so severe that some victims may lose limbs. The brutally cold weather that’s held millions in its frozen grip for days was so intense Thursday morning that 11 states in the continental United States hit a temperature lower than the one recorded in Alaska’s northernmost city. 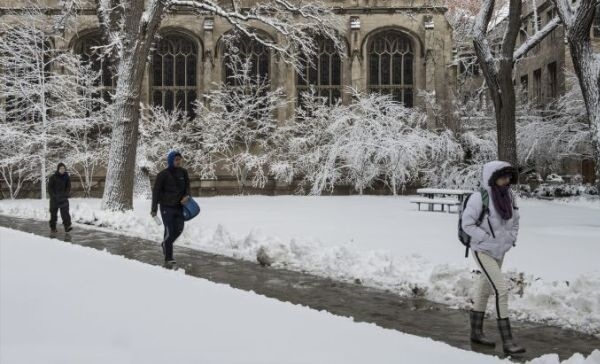 The Dakotas, Minnesota, Illinois, Iowa, Indiana, Michigan, New Hampshire, Wisconsin, New York and Pennsylvania all saw temperatures fall below -14 degrees, according to CNN meteorologist Taylor Ward. That was the temperature in Utqiagvik (also known as Barrow) a town of about 4,400 that sits north of the Arctic Circle. But the end is in sight. The historic deep freeze that’s killed 16 people will let up by the end of the week, according to CNN meteorologists. At the cold’s peak Thursday morning, about 7 a.m. ET, more than 216 million people saw temperatures below freezing, including 84 million who dealt with subzero temperatures, CNN meteorologist Dave Hennen said. By the afternoon, about 30 million people were still under wind chill warnings and advisories — down from a peak of 140 million in the morning. “Today is the last of the extreme cold air,” Hennen said Thursday. “I thought I was crazy! I was up all night because I kept hearing it,” Chastity Clark Baker said on Facebook, according to WGN. The cold weather killed a zebra on a private farm near Delphi, Indiana, according to the Carroll County Sheriff’s Office. The zebra had gotten stuck in a metal fence, Sheriff Tobe Leazenby said. Officials consulted a veterinarian, who said the air likely crystallized in the zebra’s lungs, killing the animal.